Where to watch rugby in New Zealand. That oval ball means a lot to New Zealanders. With teams like the All Blacks being a symbol of national pride, you know that watching rugby in New Zealand will be an amazing insight into Kiwi culture. For those who are new to game, you can the chance to experience the awesome atmosphere and excitement of this tough sport by going to a rugby match. (You also might be interested to check out What is The Difference Between Rugby League and Rugby Union?) For those who have been a rugby fan for years, then you need no introduction to New Zealand rugby, the country that has brought the rugby super-team, the All Blacks. Of course, the most intense experience of watching a rugby game is in the rugby stadium. We list some of New Zealand’s best rugby stadiums below! On the other hand, you’ll struggle to find a vibrant sports bar in New Zealand that is not showing a rugby game, so join in with the team pride over a pint while saving you backpacker dollars. Here’s just a few rugby grounds and stadiums with some significant history and fun facts in New Zealand. Botanical Gardens, Nelson – New Zealand’s first official rugby game took place here in 1870. Trafalgar Park, Nelson – has an eco-friendly pitch of recycled glass to mimic sand. Mangatainoka, Wairarapa – has a reputation for the best grassroots rugby. Rotorua International Stadium – after the game, relax in a natural hot pool in this geothermal hotspot. Rugby Park, Hamilton – is also known as Mooloo stadium. The crowd can usually be heard swinging cow bells. Upper Clutha Rugby Club, Wanaka – has a reputation as being the most scenic rugby field in New Zealand. Eden Park is the largest rugby and cricket stadium in New Zealand with a capacity of 50,000 people! The stadium was the host of 1987 and 2011 Rugby World Cup and two cricket world cups. 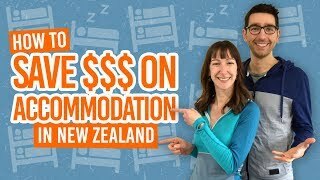 For a national game, expect prices to be between NZ$20-$30 per person, while international games tend to be NZ$60-$150, depending on where you choose to sit. Eden Park is located in Kingsland, 3km from Auckland Central. There are ever changing restrictions on parking during game day, so we suggest you take the train to the Kingsland train station, which is right outside Eden Park. Alternatively, use your game ticket for the free bus services put on for game days. Also known as the Stadium Taranaki, the Yarrow Stadium is a Kiwi favourite! The stadium hosts many national games. Plus, you can’t beat the view of Mt Taranaki in the background. The rugby grounds are often described at “tight” with the spectator stands so close to the action, which just livens the atmosphere even further! Yarrow Stadium is on Maratahu Street in Westown, just 5-10 minute drive or a 30-minute walk from the centre of New Plymouth. To walk, follow the convenient blue line from the city, starting at Puke Ariki. For small events, there’s on-street parking and a stadium car park. Otherwise, there may be road closures for big events. For more great things to do in New Plymouth, check out Taranaki – Guide for Backpackers. Whatever the weather, you can enjoy rugby games all year round in this all-weather stadium built with a transparent roof! 30,000 fans can fit in this huge stadium in Dunedin. A wide range of sporting events take place here from rugby to soccer to netball. The Forsyth Stadium also hosts music concerts. Watch international games for NZ$40-275 or national for NZ$30-40. You can get to the Forsyth Barr Stadium on Anzac Avenue by an easy 20-minute walk from the Octagon (Dunedin city centre), or by car. There is parking around the stadium. Alternatively, all major bus services stop at the stadium. Check out more fun stuff to do in Dunedin in 12 Free or Cheap Things to do in Dunedin. The capital’s rugby stadium is a popular choice for backpackers, hosting tons of international and national rugby games. Additionally, you can take a stadium tour of the broadcast and media areas, the changing rooms, players tunnel, etc. Keep an eye out for expos on all sorts of subjects that take place in the stadium regularly. Watch national games for around NZ$20-$60 or international for about NZ$70-$120. A particularly big party sports event is the Wellington Sevens, which is every January. Find out more on New Zealand’s Top Events for 2016. The Westpac Stadium is on Waterloo Quay along an elevated walkway entrance. The 650-metre walkway is located at the Wellington Railway Station, so it’s easy to get the stadium by train or by simply walk the short distance from the city centre. The heart of Canterbury rugby, the AMI Stadium is the home of the Canterbury Crusaders. You’ll get the chance to watch national games every weekend, as well as regular matches against Australia’s national teams. Game tickets cost between NZ$20-$50 depending on seat choice. The AMI Stadium is in Addington has no parking for large events, however there are park and ride shuttle from various locations in the city. Walking will take 30-40 minutes from the city centre. For more things to do in Christchurch, check out 10 Free or Cheap Things to do in Christchurch. On any major match day, you’ll struggle to find a bar in New Zealand that isn’t playing the rugby game on their screens. However, for all those true rugby fans, you’ll find a mix of national to international games played in dedicated sports bars. All major towns and cities in New Zealand have a sports bar with multiple screens showing different games. So sit down, have a drink, and watch the game. You’ll still get that team spirit atmosphere with fellow rugby fans, without having to spend the money on game tickets. What a backpacker saving! 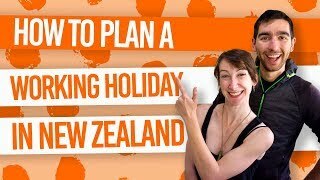 More things to know about the Kiwi culture!